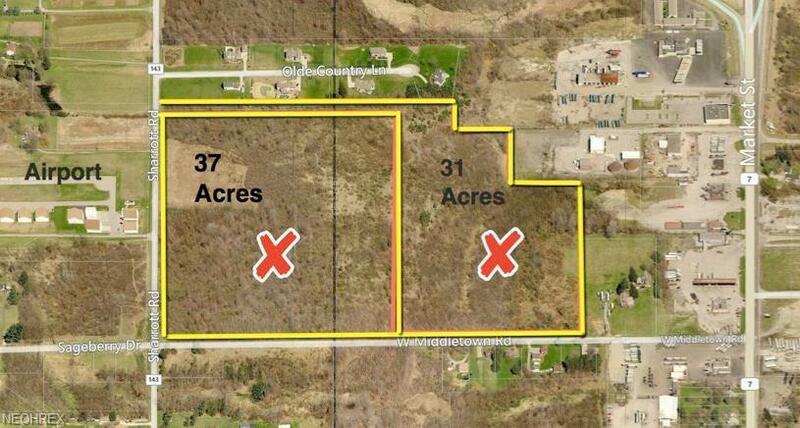 68 acres - Two Parcels - Zoned Commercial - All Utilities - 1490 FF along Sharrott Road - 1950 FF along Middletown Road - Prime Residential or Commercial Development Land. 1/4 Mile from Market Street. Across from Elser Airport (w/4,000+ ft. Runway) - South Range School District - Sharrott and Middletown Road - Beaver Twp. - North Lima, Ohio.